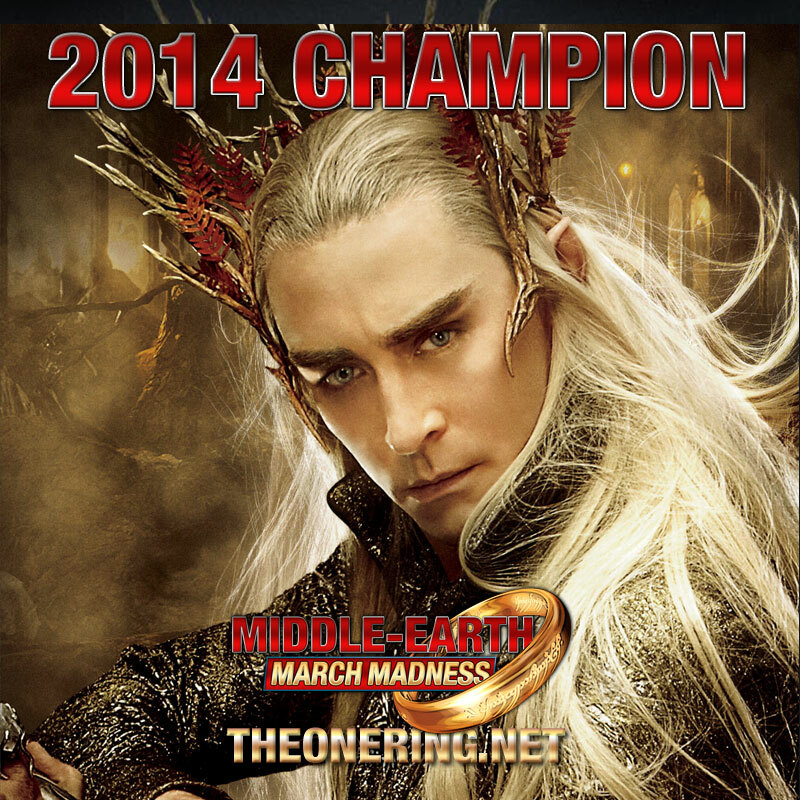 Congratulations to our 2014 Middle-earth March Madness champion: Thranduil! The results are in! After three weeks of intense competition we can finally crown a winner! 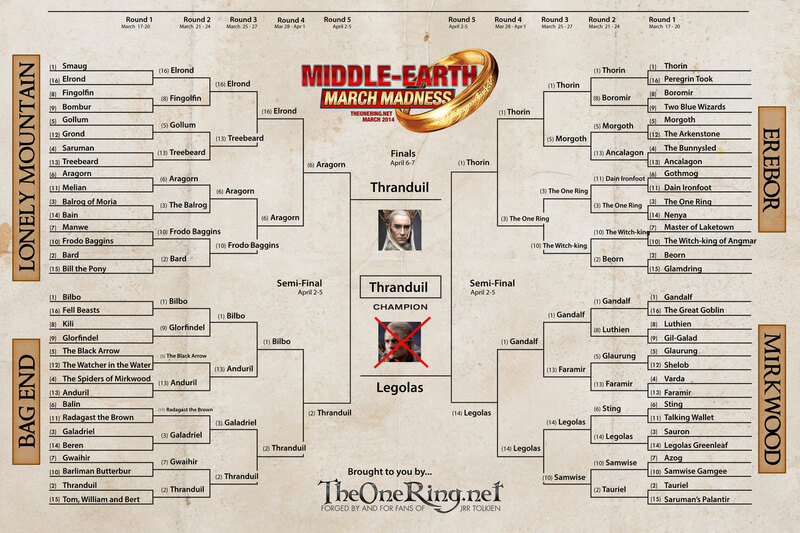 In the end, Thranduil — the Sindarin king of the Woodland Realm — has taken the crown in our 2014 Middle-earth March Madness contest! We received more than 20,000 votes in the final, and Thranduil (Thrandy to his nearest and dearest?) soundly defeated his worthy opponent Legolas (aka Leggy) with 64.18% of those votes! I guess it is good to be king! We’d like to thank you all for participating in this year’s event and hope you had a fun time discussing the finer points of your favourite Middle-earth characters and objects, regardless of whether you viewed the contests as a physical battle, a game of wits, or a popularity contest (all valid ways to vote!). It’s also a neat way to explore what makes these characters such interesting and vital parts of Tolkien’s Middle-earth. We’re already looking forward to next year’s competition — and introducing a few of the changes that readers have suggested in comments/facebook posts. For a review of each round, click on the following links: Round 1, Round 2, Round 3, Final Four, and the Championship. EDIT: Please feel free to leave comments and suggestions for next year below — we’re open to your ideas (and as mentioned we already have a few of our own!). Fan bashing, however, will not be tolerated by the mods.